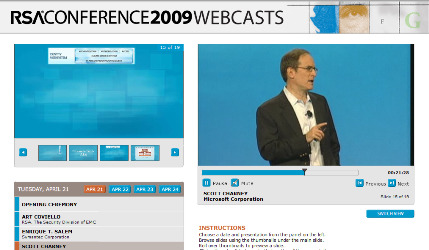 The RSA Conference team has made the Keynote Videos available from the RSA Conference 2009 in San Francisco the Largest gathering for security professional in the world. Very interesting innovation technologies has been discussed (cloud computing, cyber security, crypto systems…) also you can find the spectacular opening ceremony . So to who was not able to attend you didn’t miss much.Share and Enjoy!